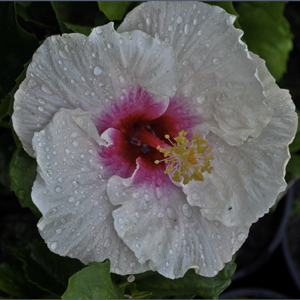 Hawaiian hibiscus with large single pure white ruffled fowers with a carise eye. Water generously in summer, cut back in spring for bushiness and flowering. Prefers full sun, well drained frost free position.